Our last day in winter white New England was quite a memorable one! 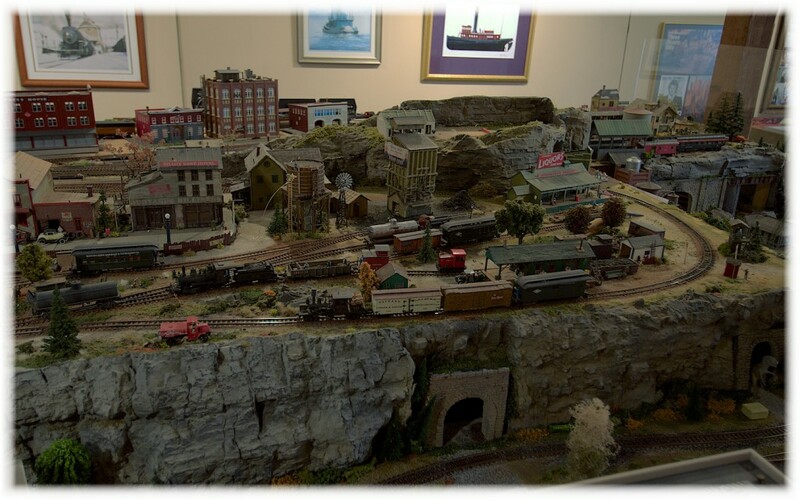 While doing a few last minute errands in town we noticed that our little museum has an annual train show over the holidays and that it was still on display. We had the entire exhibit to ourselves on a Tuesday morning. Bags packed, rental car on hand for the next morning’s early ride to the airport, we decided to spend our last evening in Connecticut in the pub of the Griswold Inn with a burger and a beer. I swear that pub has live music every single night of the year, and while it’s always great fun and great music, I really wanted an early evening. The music venues usually start around 7.30. When we arrived, well before music should start, a wonderful glee club from Ohio was about halfway through an impromptu performance that had been arranged to precede the regular Tuesday night banjo group. The glee club were the KoKos from Kenyon College, who were passing through the area on their January tour of concerts on the East Coast. 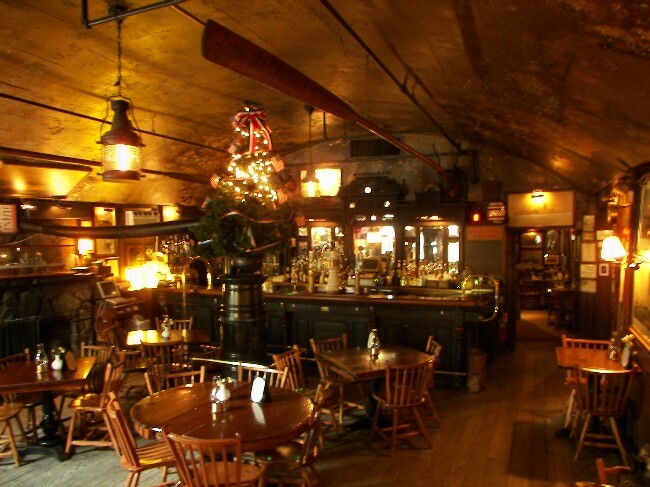 Since they were staying at the house of a glee club alumnus who happened to be the local Anglican priest, the priest had arranged for the last minute performance at the pub. Bob and I love a capella men’s groups. The songs were wonderful… “Sentimental Journey,” “Stand by Me”…… a couple of fun, bawdy songs. As the singers were gathering their things the priest came over to introduce himself. I’m not sure I’ll ever understand why. Did he see how much we liked the group?? Did he think we might become new parishioners? Whatever his reasons, he introduced himself to us and even invited us back to his house for dinner. He promised the group would sing a few more songs…. what can I say? We couldn’t resist! What a world! Roddy remembers a particular long weekend in Great Salt Pond on Block Island, when he and his dad came aboard our little catboat Tao for an afternoon sail, while I went on board Lark to help Roddy’s mother to cook up a mess of mussels for dinner. What I remember is coming across our very first log book last summer as we were unpacking things in our new house, and reading about Roddy and his parents and some of our escapades together. When I read these passages, I realized what distant memories these are…..how long Bob and I have been making memories together and how rediscovering this brief period in our newly married lives helped me recognize Rod the adult when our paths crossed again. Amazing…..